Navajo jewelry symbols have allowed artists to maintain and further the tribe’s history and spiritual belief through craft and expression. Much of the jewelry sold today features Native American Indian symbols that have passed through generations, even dating back to prehistoric times. The Navajo have a long and complex history of using symbols, many of which centered around healing, spirituality and creation. For instance, the horny toad is considered to be a protection figure, while the often seen swirl symbol represents the emergence and migration of the Navajo people. Mother Earth and Father Sky are often depicted as man and woman, although the interpretation of varies. Sometimes, the bodies appear more triangular, while the features are more square in other examples. First Woman is also depicted in several ways and is considered a central figure in the Navajo creation story. Artists often use their own personal interpretation of Navajo jewelry symbols. Like other tribes, the Navajo use various animals in their artwork, notably the turtle or tortoise. The turtle represents water, which is scarce in many parts of the Navajo homeland and therefore has been considered an important symbol of the preciousness of life. 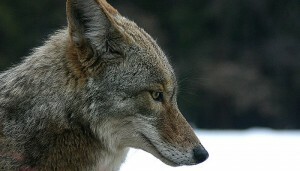 The coyote is an important, and sometimes feared symbol in the Navajo culture. It is seen as a trickster and an omen that bad things could happen. According to Navajo legend, skinwalkers often take the form of coyotes to perform their evil deeds. The bear signifies strength, leadership and protection in Navajo jewelry symbols. Snakes are also frequently seen, but do not carry the same negative connotations connected to western culture and Christianity. The Navajo see the snake as a powerful healing symbol or fertility sign.